OUR MARKETING TOOLS - These resources are some of the best marketing tools that we have used in marketing our own Internet business. Make it easy for people to find your business online. Our SEO tool analyzes your website and gives you step-by-step instructions on how you can optimize for Google, Yahoo and Bing. All it takes is a few clicks, and then you can get back to business. Search Optimization: Improve search engine rankings with keyword and suggested topics tool. Tracking your ranking: Track the progress of your website’s rank on Google over time. Choose the best products to sell from thousands of dropshipping suppliers all over the world. Join more than 20,000 entrepreneurs who use Spocket to smoothly manage their dropshipping business! Try it for free. No risk, and no credit card required. Start your FREE store trial now! Get started with a dropshipping business. Open a business without the hassle of managing inventory, packaging, or shipping. From stocking your store to making your first sale, Shopify has everything you need to start and run a dropshipping business. Customers can easily buy your products from your website or Facebook Page. We will customize an incredible Shopify eCommerce website just for you. It’s a way to promote your products and services so you can “Brand Yourself” and your business. 100% IN YOUR CONTROL WITH NO RESTRICTIONS! Visit our partner to get started. Start Your FREE Trial HERE. Drag-and-drop store builder Choose from over 100 professional and free store themes. Customize colours, imagery, and fonts with ease. No design skills required. Start selling on Amazon You can now sell on the world’s largest online marketplace simply and conveniently. You have complete control over the look and feel of your online store and instant access to hundreds of the best looking themes the industry has to offer. Copy, paste, and start selling: Turn any website into a money-making business in seconds with Buy Buttons. Whether you’re on WordPress, Squarespace, Tumblr, or anywhere else, with just a few clicks you can turn your website into an online store. Start your eCommerce store now! One of our favorites. LeadPages allows you to confidently grow your business by turning clicks into customers with high-converting landing pages and lead generation campaigns. Focused on a single-mission and customized to your audience. Transform your web traffic into qualified leads and loyal (happy-to-recommend-you) customers. Over 150 templates to choose from. Easily build and customize one of our professional landing page designs and enjoy unlimited publishing for, squeeze pages, pop ups, splash pages, and thank you pages. With our drag and drop editor, you’ll never need to code or hire a designer again. They offer a FREE trial so you have nothing to lose. Try it for yourself, click HERE! Web Hosting - This is the company we use and have been for over 15 years. Looking for a reliable hosting company who has a support staff available when you need them? This is the same company we use and recommend. Visit Our Hosting! They have a 99.9% uptime guarantee and offer 24/7/365 support. Unlimited space, bandwidth and email accounts all for a low monthly fee. Experience the ultra-reliable service and 24/7/365 support available at our hosting company! 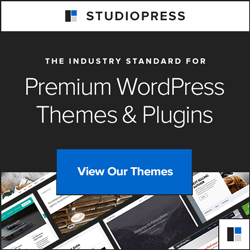 StudioPress WordPress - Create a beautiful WordPress website with hundreds of customizable, mobile ready designs. Premium designs, your own custom domain and dedicated hosting: everything you need to create a professional website. StudioPress Themes Our professionals will build a StudioPress WordPress website just for you. Our WordPress websites are affordable and effective. Use the Internet to get your name out there. WordPress websites allows you to showcase your business and tell the world who you are and what you do. 1st Choice: One of our favorite and what we use on a weekly basis is AWeber. For over 15 years, AWeber's opt-in email marketing software has helped for more than 120,000 small businesses, bloggers and nonprofits raise profits and build customer relationships. Start your FREE trial today! Create graphic emails with 6,000+ images in their stock image gallery. The AWeber Mobile App allows you to view upcoming broadcasts, check open and click rates per subscriber and more. We use and recommend AWeber to send our newsletters and grow our business. You might like it too. AWeber makes email marketing easy. Try AWeber now for FREE! 2nd Choice: One of our other favorites is GetResponse. It's a complete email marketing solution. It provides turnkey newsletter publishing and hosting features, as well as unlimited follow-up autoresponders to deliver information to your subscribers and convert them to paying customers. GetResponse has been helping over 350,000+ businesses to market their products more effectively. You can use GetResponse to send newsletters and grow your business. You might like it too. GetResponse makes email marketing easy. Try GetResponse now for FREE!